The Wysteria Lore pack’s spells can now be crafted, awesome! They were also added as a potential drop from Loremaster. 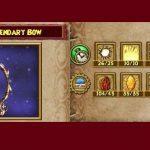 Let’s look at how to craft them in this article! You can find the recipes to craft these spells in the Wyrd, in Avalon. Inside the instance called Dun Scaith stands Grady, the recipe vendor. Don’t worry, you don’t have to do the battle to get to him! Just walk around the creatures. You have to be a Legendary Artisan in order to craft Grady’s recipes! The most problematic thing seems to be that, at the moment, you can’t craft the treasure cards. Grady doesn’t sell the recipe for them! As such, you will most probably have to go fight Loremaster in Dragonspyre and get the treasure cards as a drop, who knows you may get lucky and get the Spell dropped while you are there! Hopefully the TC will be craftabable at a later date. 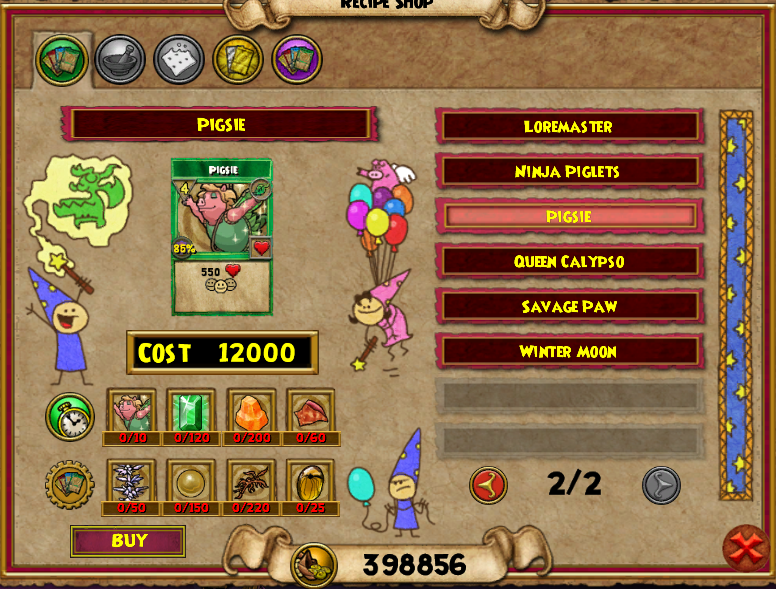 The recipe for Pigsie requires 50 Celestium. 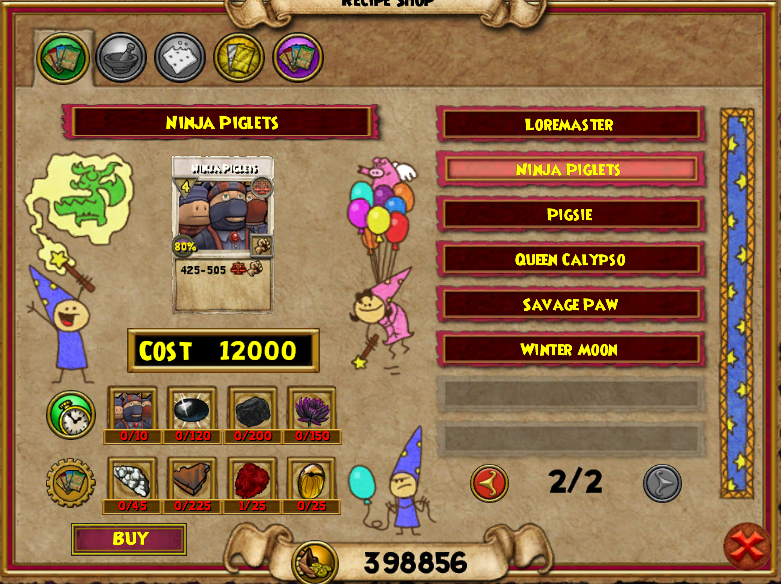 Celestium is currently a mystery, as it is a new reagent that we haven’t gotten as a drop anywhere yet. You can also get these from Loremaster now! Will you be crafting these spells? While misthead has written all kinds of guides, the most popular by far are her "main quest line" guides. 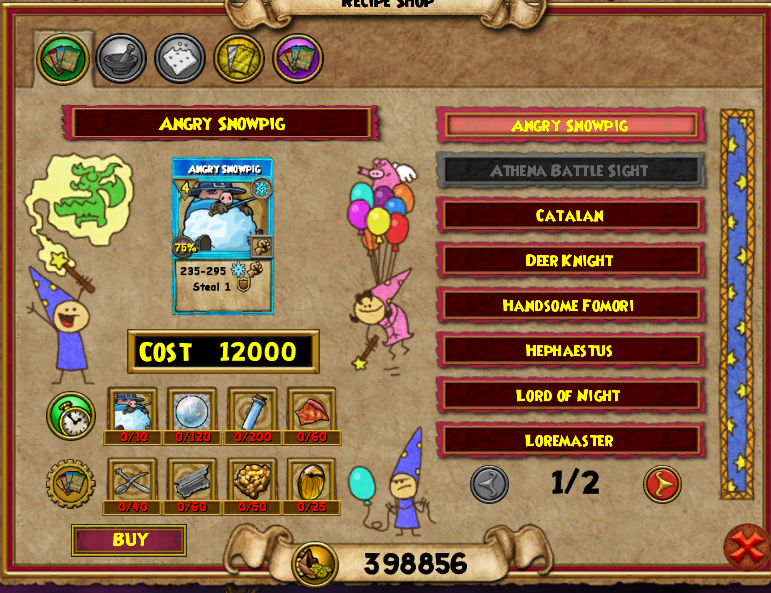 She does have all kinds of articles under her belt, from a grandmaster Myth PvP guide to research about which wand stitches are the most popular. Rattil Chowdhury on Save Our Enchants! James Dreamgiver on Save Our Enchants! catherine corley on Save Our Enchants! Jeppers_PVP on Save Our Enchants! Feature Your PvP Build Here!